Every day we Londoners make our way through the urban jungle. Our daily routines bring us together with strangers and friends alike and together we endure some of the more dire spaces that our modern metropolis produces. And yet we discover opportunities in the strangest places to improve our urban environment and perhaps put a smile on the faces of our fellow urbanites. In 2011 Gensler research collaborated with the Urban Land Institute to identify the value of open spaces for both public and private sector activities. The resulting survey, Open Space: an Asset without a Champion?, revealed that private sector businesses would be willing to fund open space development if the right mechanism for investment was available and properly managed. The paper also identified the need for public and private sector entities to collaborate on creating, financing and maintaining open spaces. Open spaces are no longer the exclusive domain of governments and public funding. Private entities can benefit from the proliferation of open spaces and must therefore take an active role in advancing open space creation, management and development. 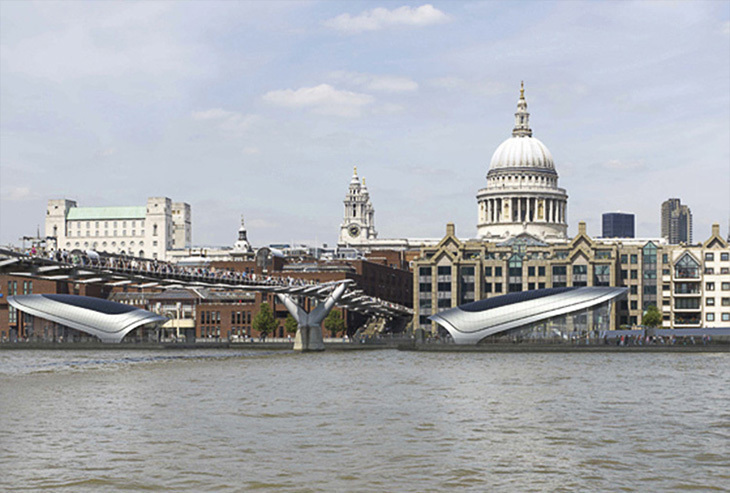 London doesn’t need a floating park on the Thames, but would it benefit from one? In cities across the world you can find all sorts of public structures that residents don’t need. Take the Eiffel Tower or the Washington Monument, for example. Neither provides Parisians or Washingtonians with food, shelter or any of the other amenities necessary to sustain life, but I bet you won’t find a single a person in either city that would say the monuments make Paris or Washington, D.C. worse off. Rapid urbanization is upon us. A report from the U.N. projects that by midcentury nearly 69 percent of the earth’s population will live in cities. This coming shift will mandate vast changes to urban infrastructure, including increased access to quality open spaces.